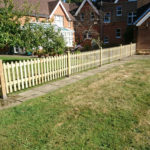 Palisade Fencing is a great way to define borders within your garden….. It’s Hit and miss look creates a unique look, which is very subtle…. 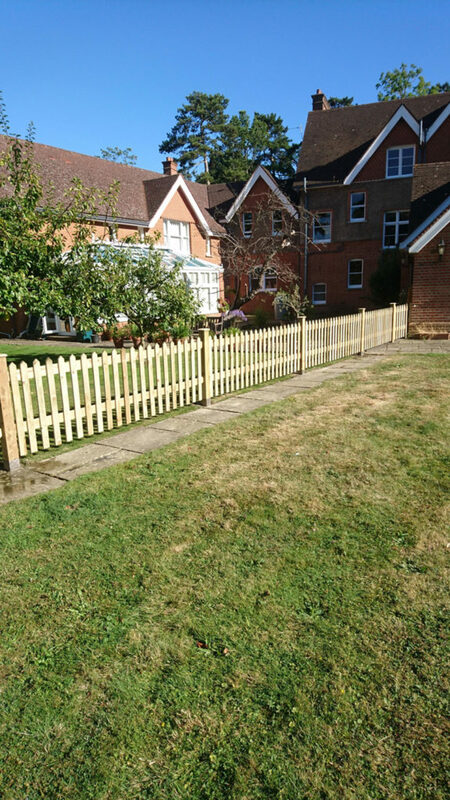 The Palisade boards come In, pointed top, flat top and round top……..
(photographs kindly taken from fencing installations from in and around Surrey). 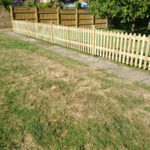 Need more information on our Palisade Fencing? 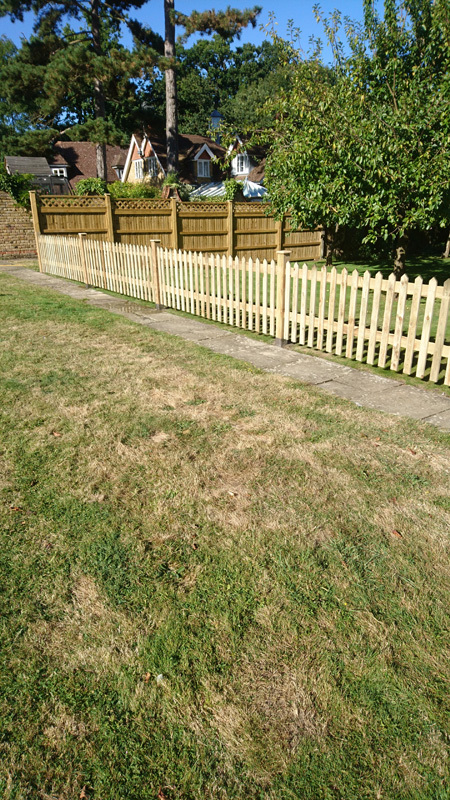 Please contact us at First Class Fencing & Landscaping for more information on our palisade fencing and installation. We cover Surrey operating in areas such as Kingston, Twickenham, Richmond, Epsom to Worcester Park and Cheam. Call 020 8337 2528 now for a quote. Can’t find what you’re looking for? Contact us and we’ll be happy to assist you.